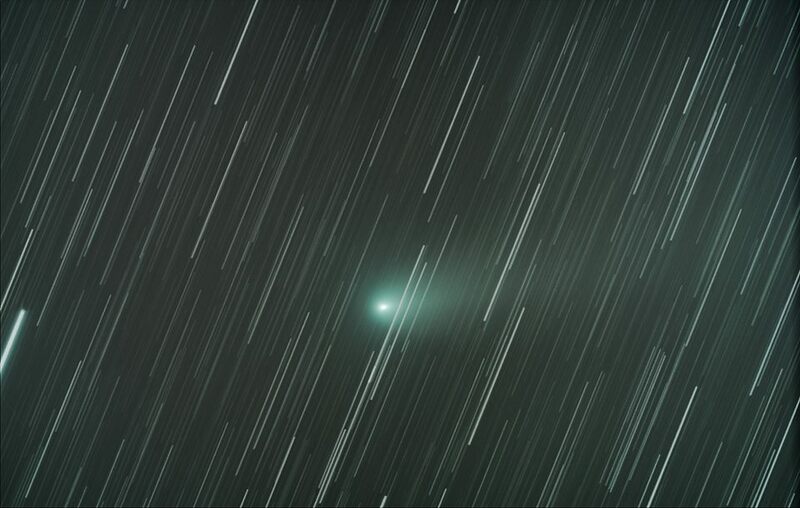 One hour and forty minutes of exposure (105 x1mn) on comet 21 p / Giacobini-Zinner on 11.08.2018.de 2 PM TO 4 H07 UT. Newton 300 MMF / 4 CAMERA ZWO ASI 1600 MCC cooled at-22°, Binning2x2. Mount SW eq8.